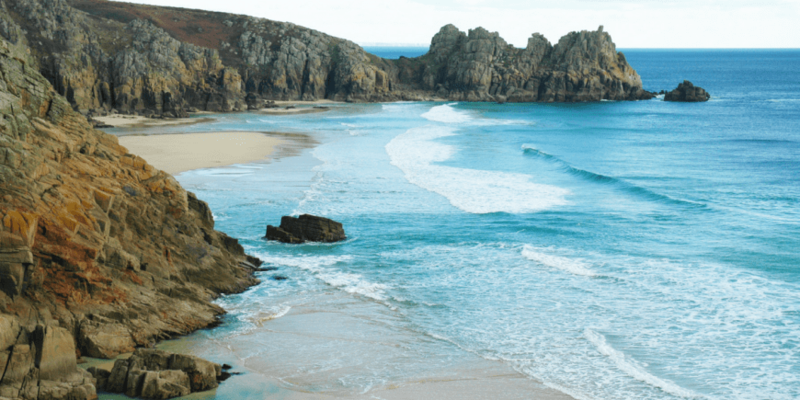 Porthcurno is what locals call a classic Cornish beach. 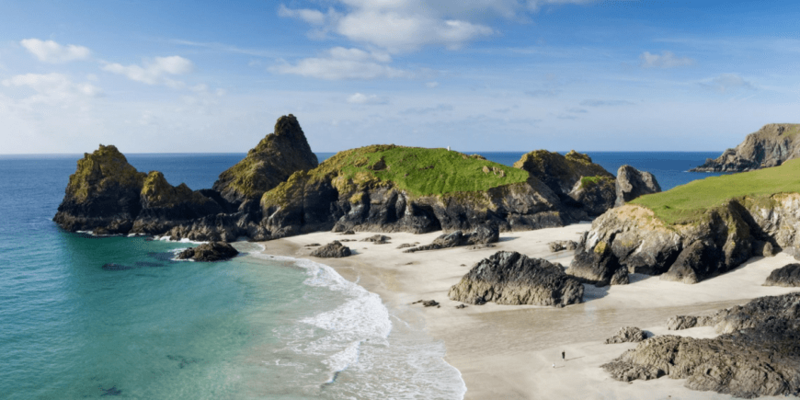 The golden sand is surrounded by strangely shaped rocky outcrops, and this is what gave the place its Cornish name – ‘cove of horns’. Up on the western side of the beach is the Minack Theatre. Why not pop in during the day and immersve yourself in the history of how this ampitheatre was created? Or explore the coastal path to the east of Porthcurno, winding along the cliff edge towards the famous Logan Rock. We advise that this walk is one for the more experienced walker. Keep an eye out for the large rocky outcrops as you walk, in which the granite conceals all manner of pools, nooks and crannies. Further along includes a great beach just west of the Logan Rock headland, with an impressive sandbar that moves every year. The seafront promenade at Newlyn makes for a lovely stroll and can be enjoyed by all ages. Towards Penzance, the Jubilee Pool offers a chance to take a dip in the UK’s largest seawater lido. With art deco styling, this pool is a fabulous venue for swimming, sunbathing or simply relaxing by the poolside on a sunny day. Or why not venture into the Newlyn Art Gallery, which presents contemporary work in all media by regional, national and international artists? This part of Mount’s Bay promised great views back across to St Michael’s Mount and is the mainland home of the Scillonian ferry. This walk boasts spectacular views of both the Lizard and Penwith peninsulas and takes in the remains of the area’s mining heritage. Travelling inland also gives superb views of the sea. Leaving Rinsey Head car park, travel down the coast path heading east towards Porthleven and take in the breath-taking views stretching down the length of the Lizard. The impressive Wheal Prosper engine house, which was built in 1860, stands before you – evidence that this area was once a hive of mining activity. Can you find the three old engine houses? Don’t forget to take a close-up view of rare plant life, as well as explore further afield for the mysterious Bishop Rock in the Scilly Isles. You might even see wild ponies grazing, rare bird life and even dolphins playing. explore hidden caves, white sands and crystal clear waters. It will be particularly fun for dogs as it passes plenty of beaches and pubs where four-legged friends are always welcome. 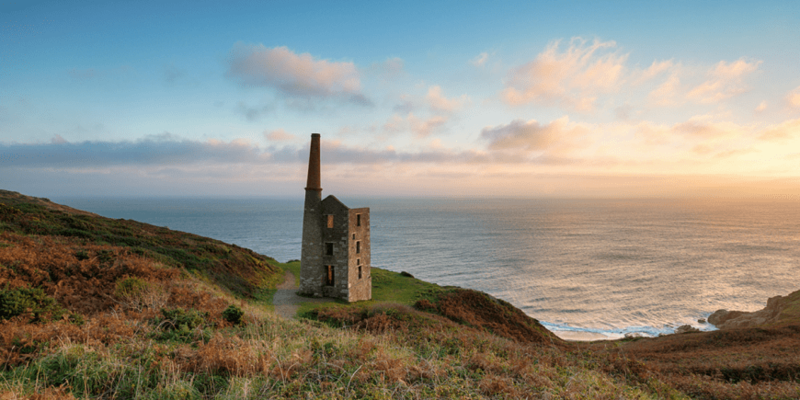 This varied and slightly challenging stroll takes in both sides of the Rame peninsula – from the shelter of Plymouth Sound, around rugged Rame Head to the vast sandy sweep of Whitsand Bay. Fun for all the family, children will especially love the chapel where The Spanish Armada was first spotted, the Napoleonic fort at Polhawn, as well as the remains of the Iron Age promontory. Rame Head is a good place in spring and autumn when migrant birds can be spotted, including gannets, divers and skuas on the water, with harriers and sometimes even honey buzzards hunting the warblers and swallows gathering ready to leave. Walk through woodland around the once-fortified headland at Dennis Head, following first the Helford River and then Gillan Creek. Explore the delightful riverside village of St Anthony in Meneage, which includes a handful of stone houses clustered around a church (one of Cornwall’s earliest recorded Christian sites). It was first mentioned in the tenth century, when it was called ‘Anthony’s holy place’. Why not create a short detour, which will take you to Manaccan – famous for the 200-year-old fig tree growing out of its church tower and an idyllic place to pause for a bite to eat before carrying on with your journey. 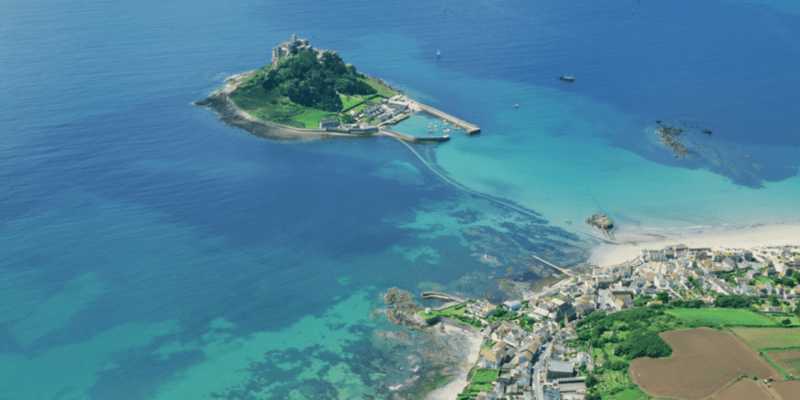 Much of this walk through an Area of Outstanding Natural Beauty offers sweeping views of Mounts Bay and the magical castle of St Michael’s Mount. Fairly easy, level walking allows time to enjoy the vistas, until the path begins to narrow and rollercoaster over the cliffs up to and beyond Praa Sands. We would only recommend this walk to those that are experienced and confident with walking longer distances. Travelling through a landscape with clear evidence of a mining history, the path passes tempting sandy beaches, followed by rugged scenery beyond Rinsey Head where there are some tiring climbs. The granite then turns to slate resulting in dramatic vertical cliffs. Sennen Cove has a small fishing fleet and a few pleasure boats, but it does not offer anchorage to sailors from elsewhere because of the dangers posed by the frequent heavy swells. The rocky headland at Land’s End divides the Atlantic ocean from the English Channel, which makes the sea particularly turbulent in windy weather. This hike includes panoramic views and both wildlife and historical interest. You can vary the length and difficulty of the walk to suit your needs as there are options for returning to Sennen. The abundance of wildflowers make this day out perfect for spring, when shags and cormorants can be seen offshore and the cliffs are noisy with nesting fulmars, kittiwakes and guillemots. A little way beyond Land’s End is Nanjizal beach which is dog friendly and worth the extra distance. Enjoy this historical walk around our hometown, which includes some of the main features of the British Empire’s second most important port. 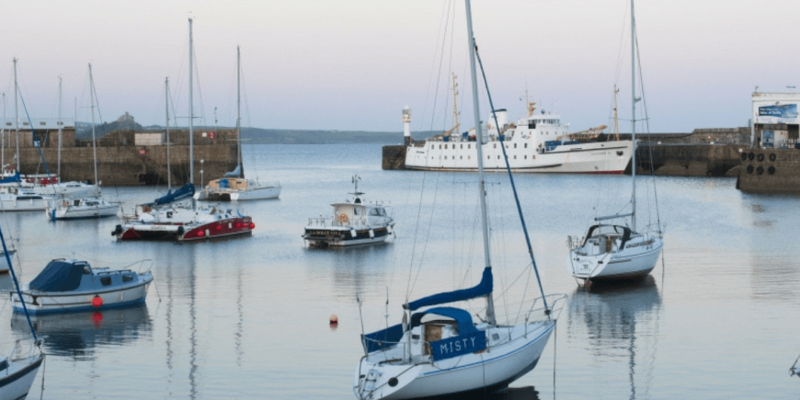 Expect to spot coastal artillery defences, historic castles, the imposing docks (built after more than 16 thousand vessels visited in a nine-year period) and the Custom House Quay where the famous packet ships carried the post. 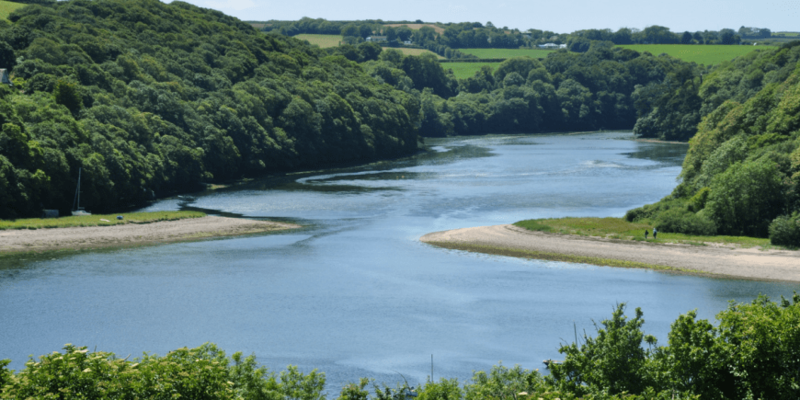 Swanpool is a Nature Reserve and a Site of Special Scientific Interest, which was created in 1825 when a culvert was built to allow water to flow from the freshwater lake into the sea. This led to a unique mix of freshwater and saltwater, providing a wonderful habitat for many species. A short walk with many fascinating features, including a beach with interesting rock pools, this will appeal to children of all ages! 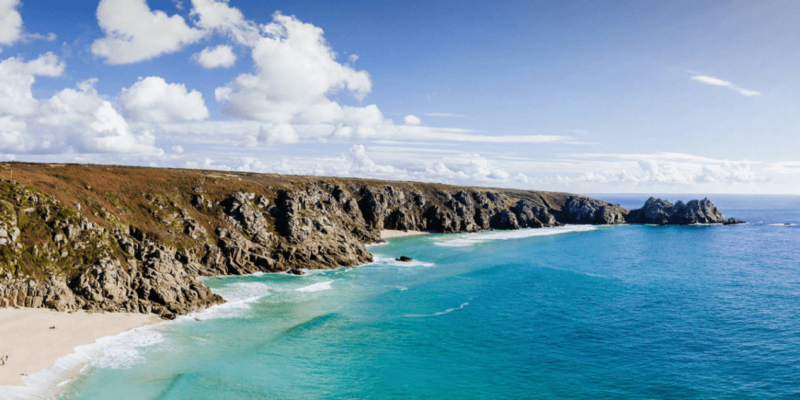 This is one of the toughest sections of the entire Coast Path, due to the rocky and sometimes boggy ground, and so progress is slower than you may anticipate – we advise only experienced walkers to venture out on this adventure. 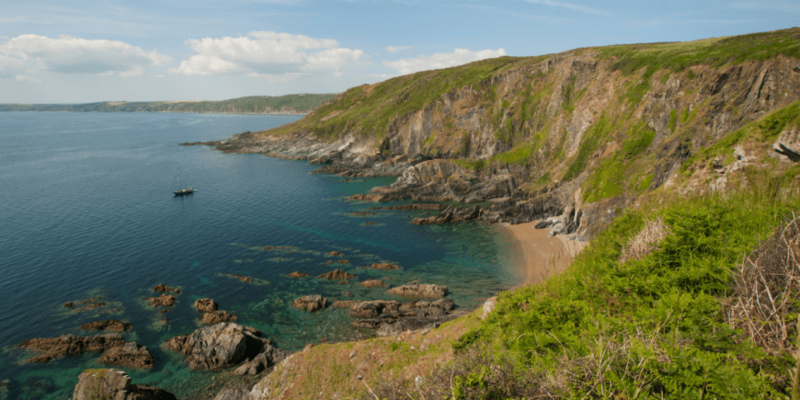 A fairly gentle walk out of St Ives to Clodgy Point soon becomes a strenuous journey of roller coaster climbs as the Coast Path plunges down towering cliffs into beautiful coves and back up again. This is a particularly difficult section and there is a real feeling of remoteness here. 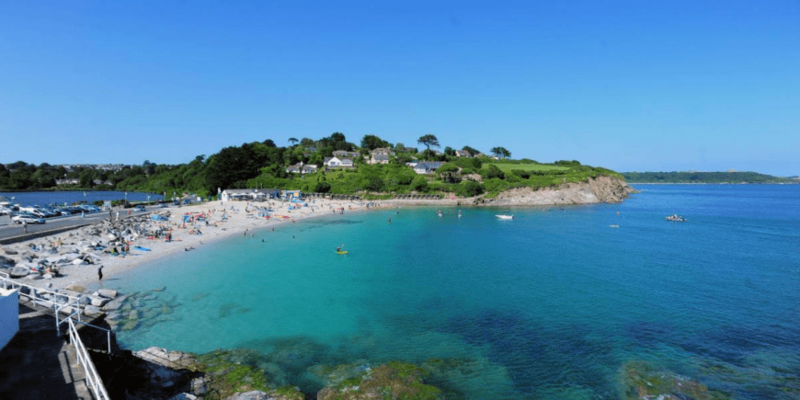 The landscape is beautifully wild and rugged and the area around the parish of Zennor is designated both an Environmentally Sensitive Area and an Area of Outstanding Natural Beauty. The path can be narrow and rough in places and all amenities require inland detours, so it is advisable to allow plenty of time and stock up on provisions at the beginning of the day. 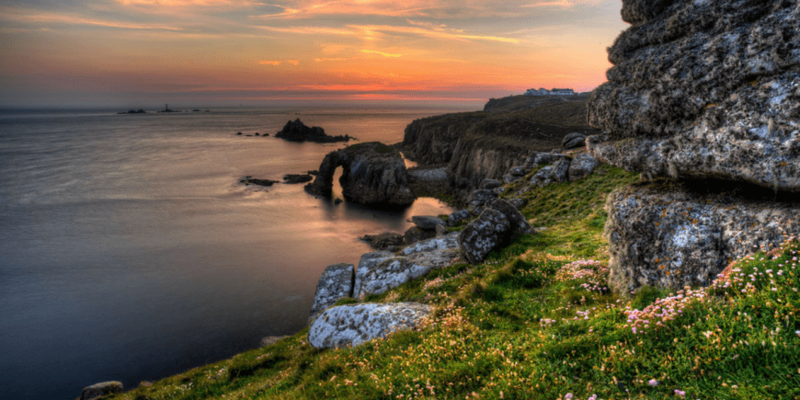 Find printed versions of our Cornish walks in our captain’s lounge area in the hotel.